Suldog: Only 29 Shopping Days Until Christmas! My piece in today's Boston Herald is all about the countdown to Christmas. 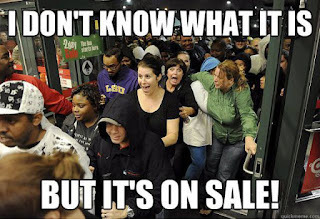 There are now 29 shopping days remaining. In any case, you can click onto this here link and find out what I have to say, rather than spend all day wondering about it. Thanks for coming here, and for going there, and for - basically - just being you. A sandwich and a nap sounds smart. Also, give everyone a can of Play-Doh with some money stuffed in it, and you are done with your shopping, and you know they will get a kick out of it. LOL. I love the way you think, Mimi. Play-Doh for everybody! Yeah, it is some kind of admission of dinosaur status to say that I remember when 'shopping days until Christmas' wasn't just the same thing as 'days until Christmas'. . .
We don't shop anymore. 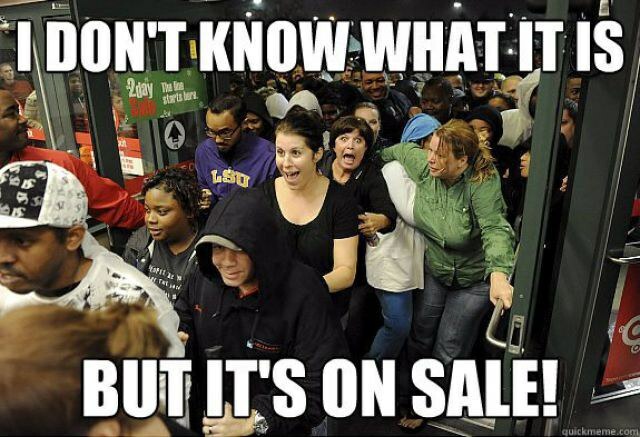 Especially on Black Friday. I always say that there's no way I'd save enough to cover my bail if I went out in that mess!! We stay home as much as possible through the whole season. All three kids (my son got married so now we have three instead of two) get either cash or Amazon gift cards.